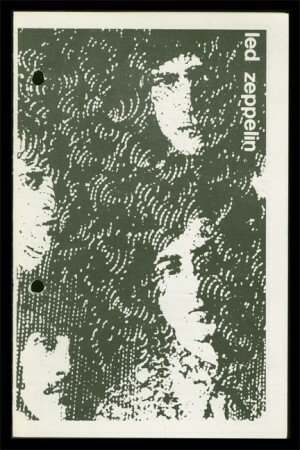 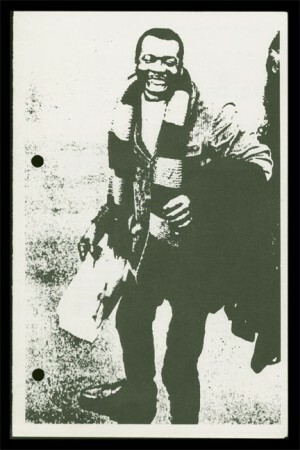 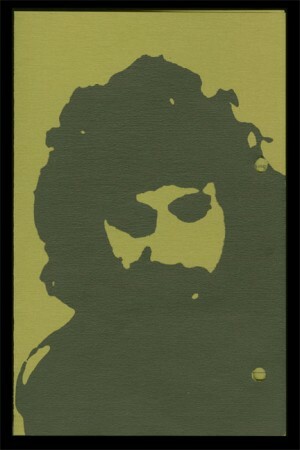 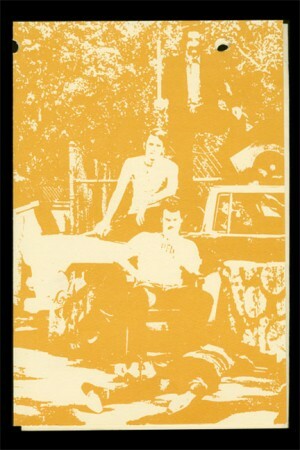 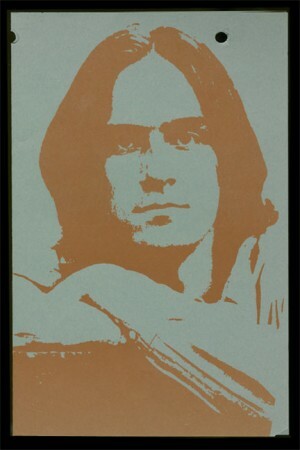 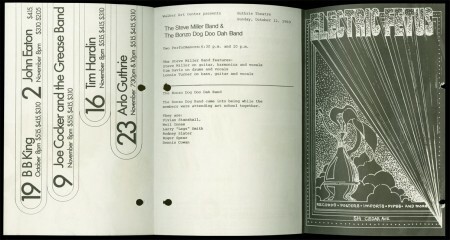 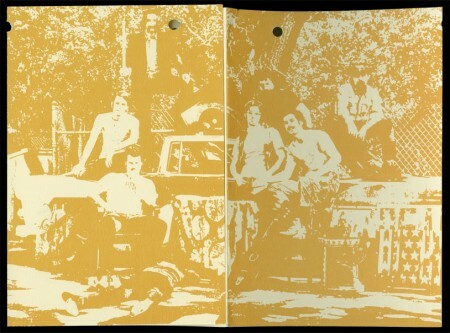 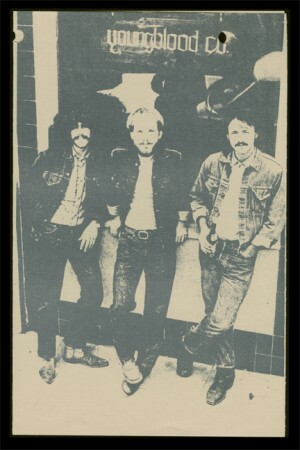 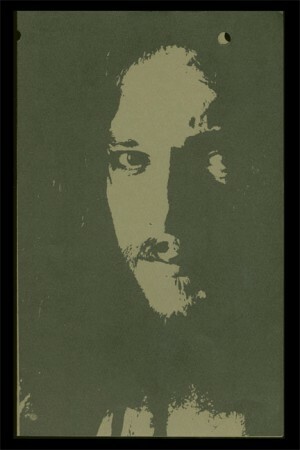 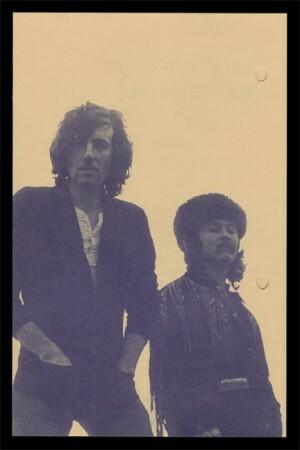 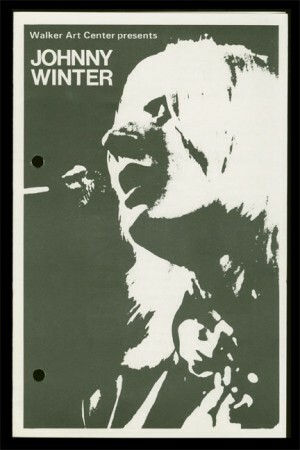 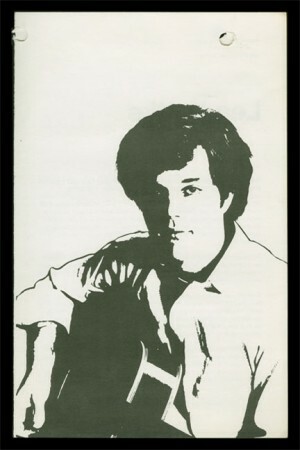 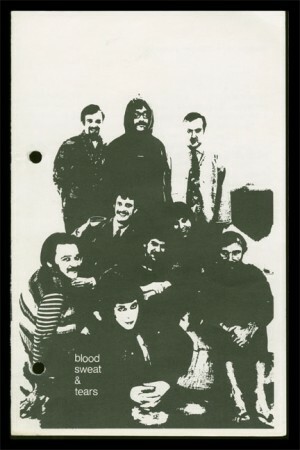 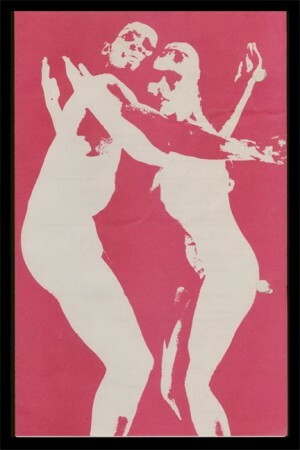 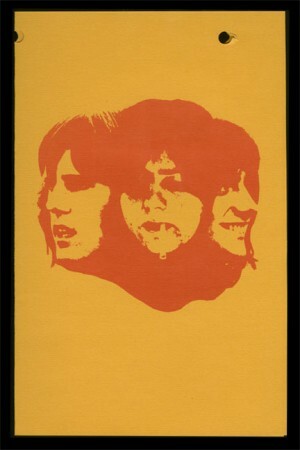 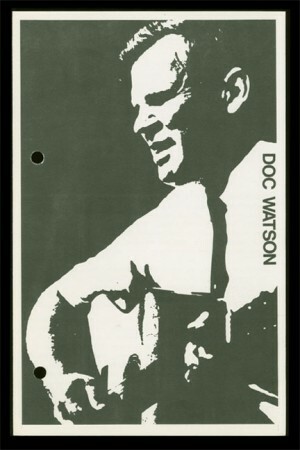 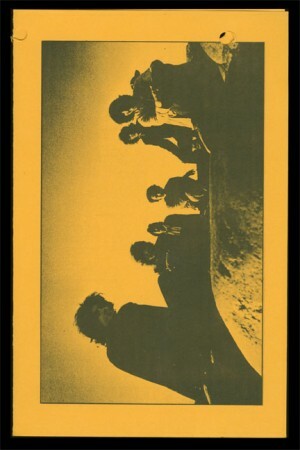 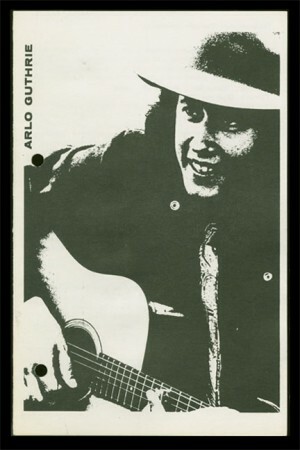 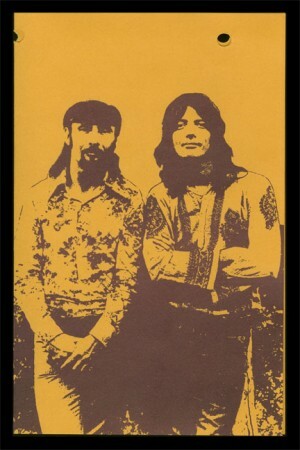 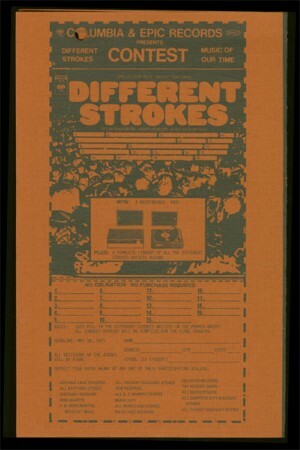 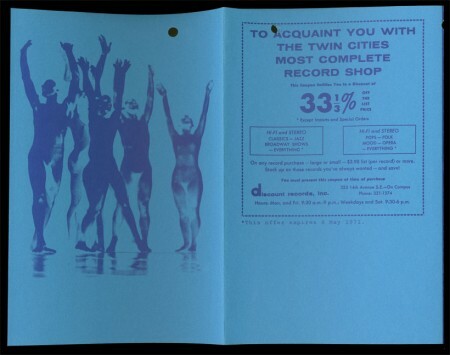 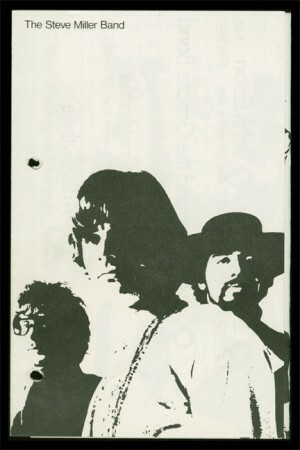 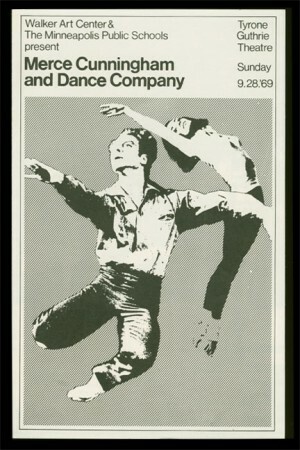 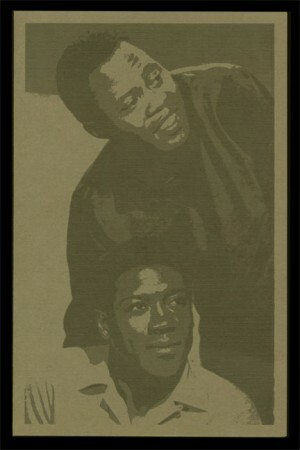 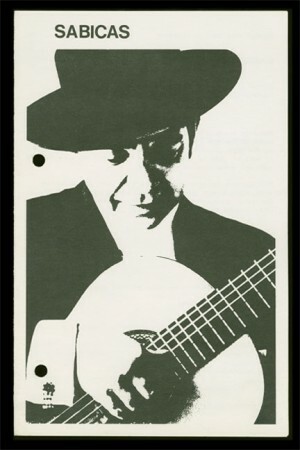 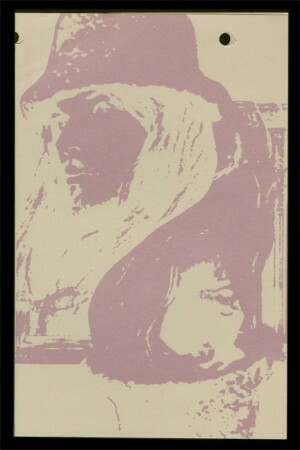 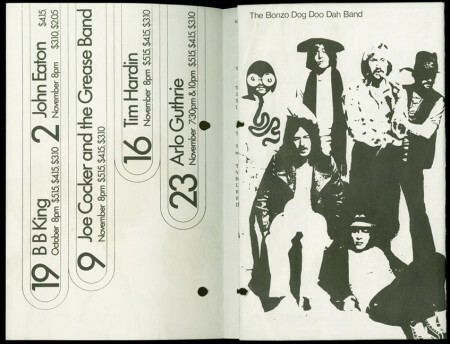 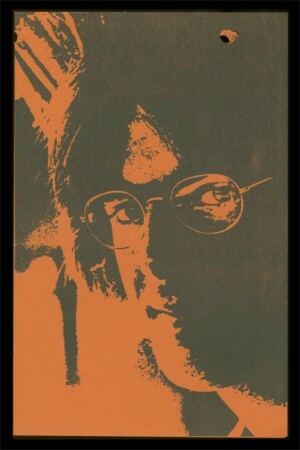 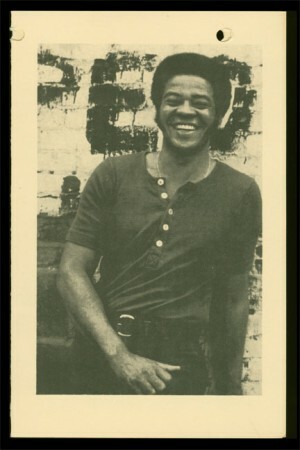 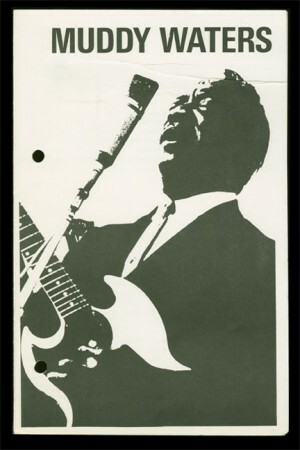 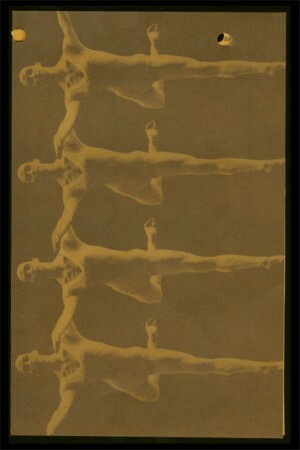 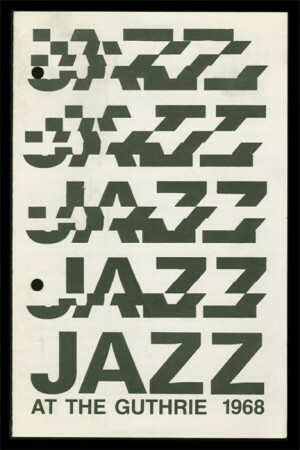 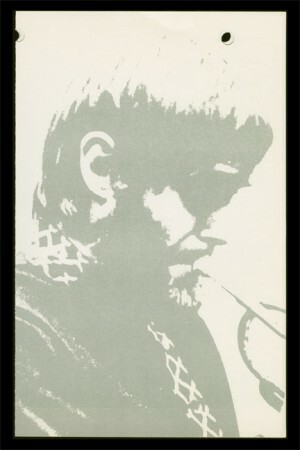 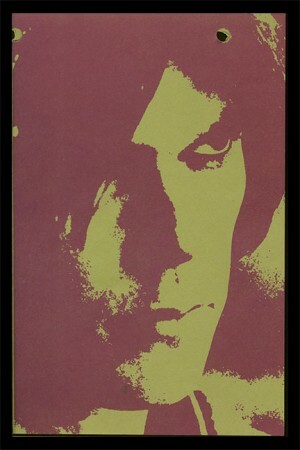 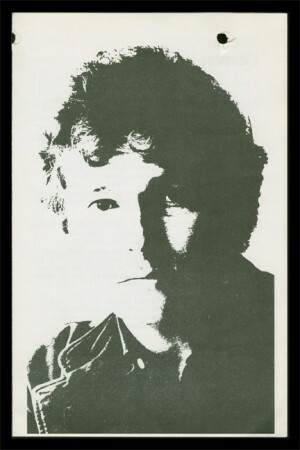 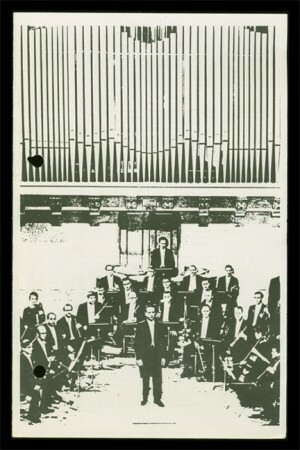 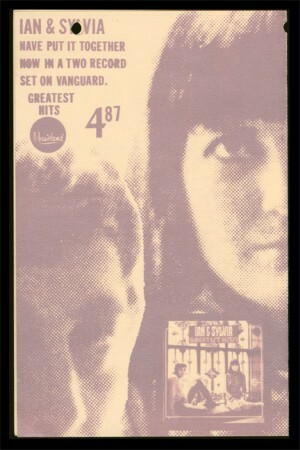 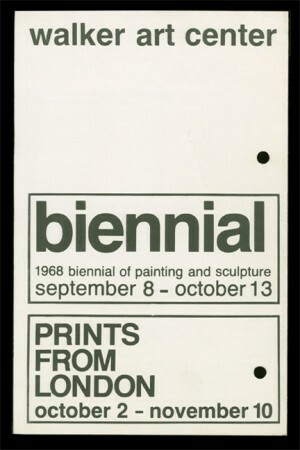 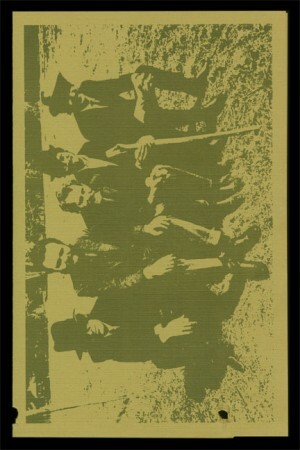 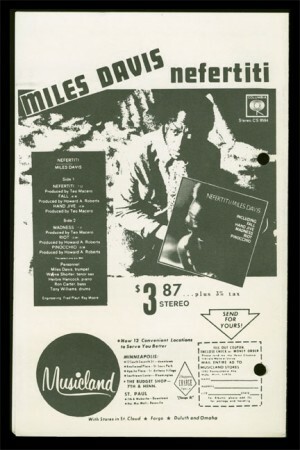 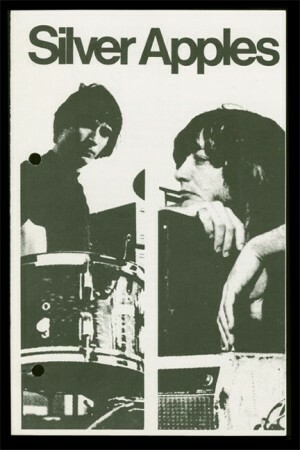 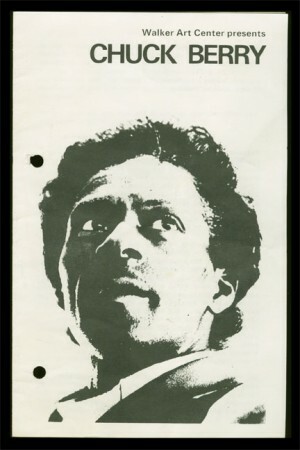 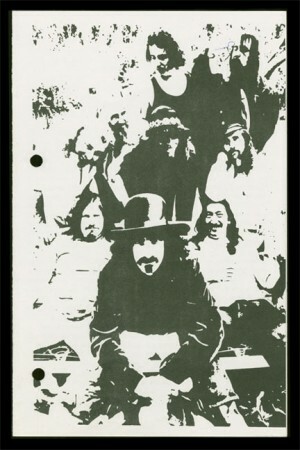 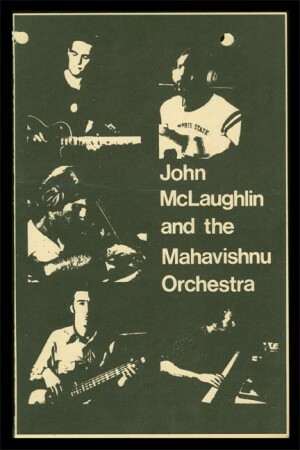 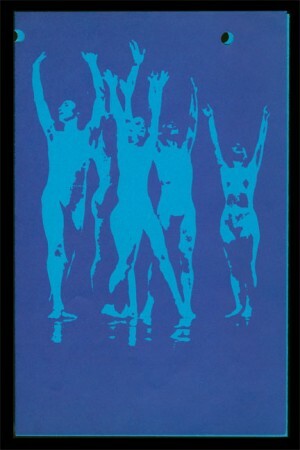 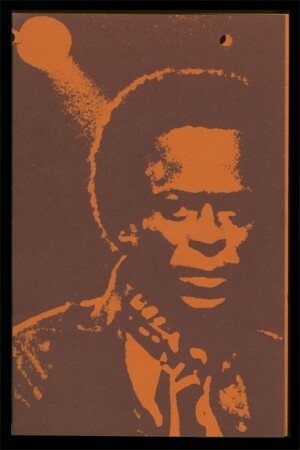 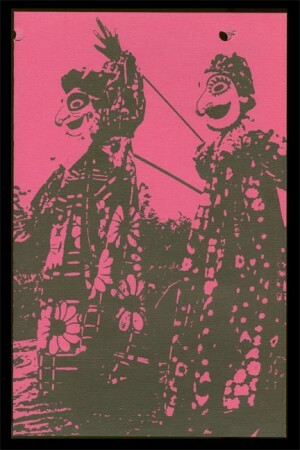 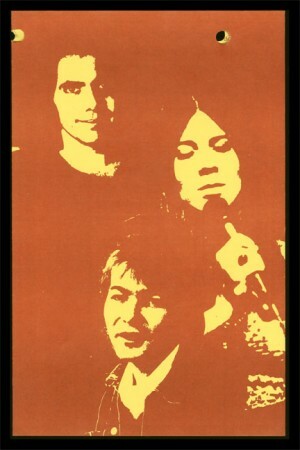 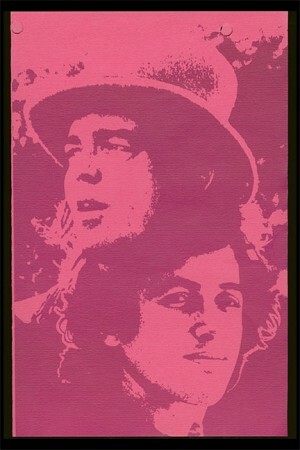 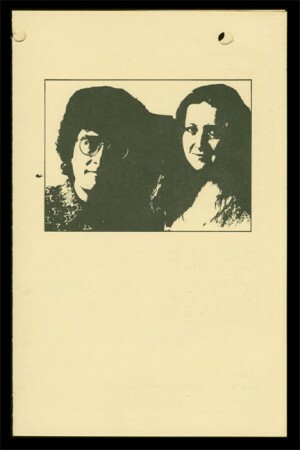 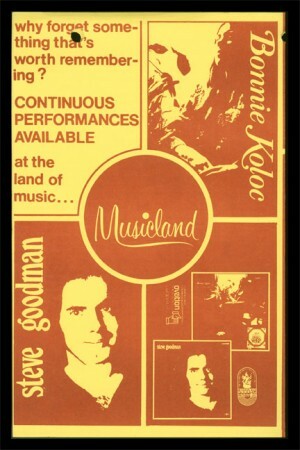 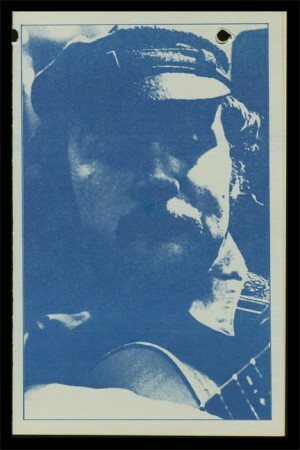 The system began as a black-and-white, 5.5 x 8.5 single-fold pamphlet with the name and a high-contrast image of the act it was promoting on the cover. 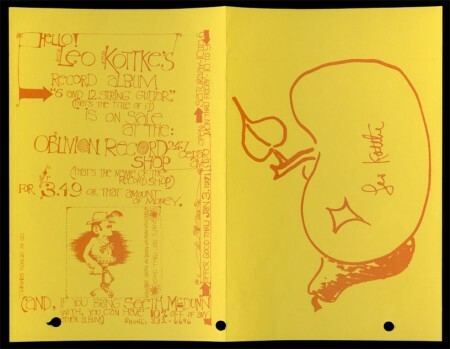 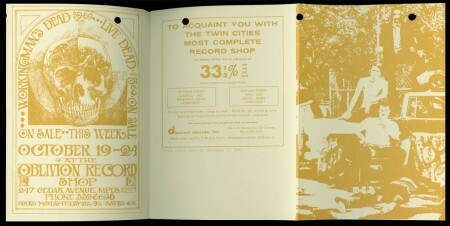 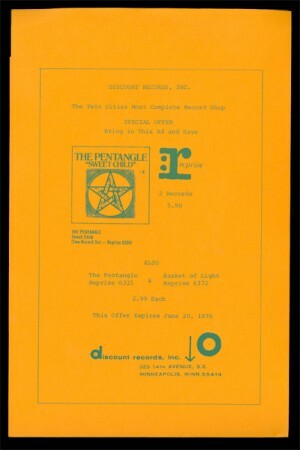 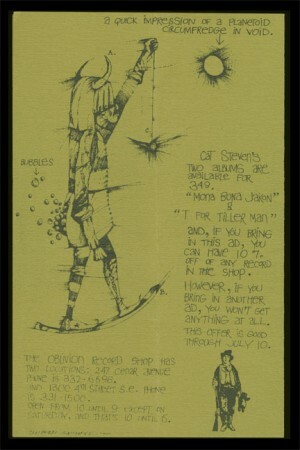 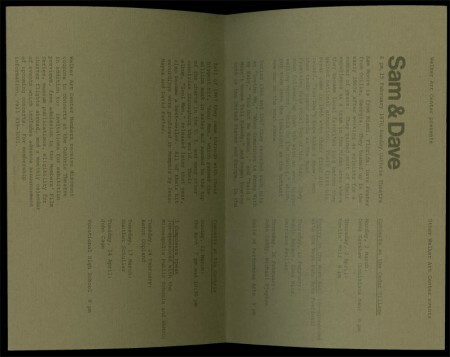 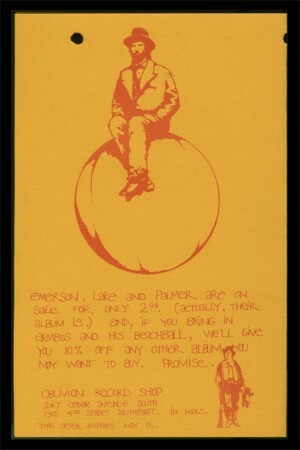 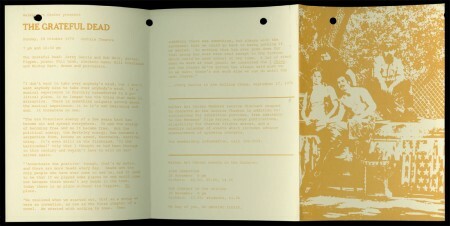 The insides usually remained entirely typographic with the back cover acting as an advertisement, usually for a local business (such as The Electric Fetus record store, which thankfully is still around today). 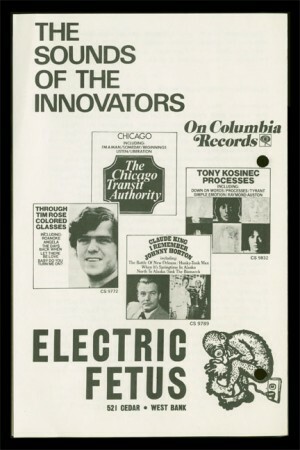 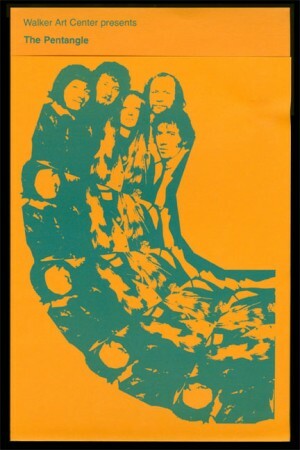 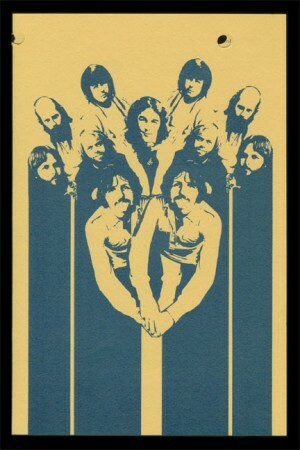 Through ’69 the designers dabbled here and there with having a cover that relied solely on image and by 1970 that idea became part of the system. 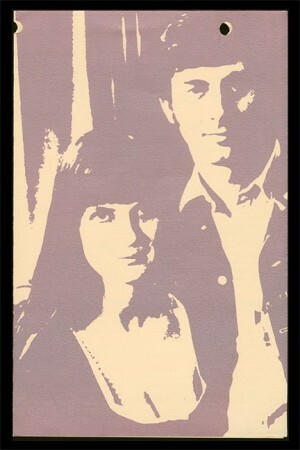 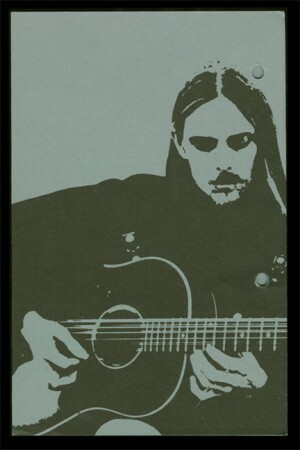 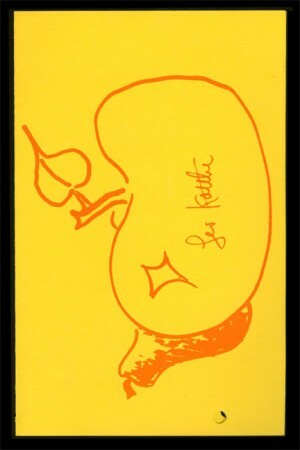 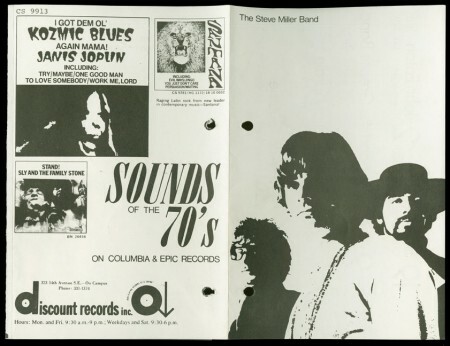 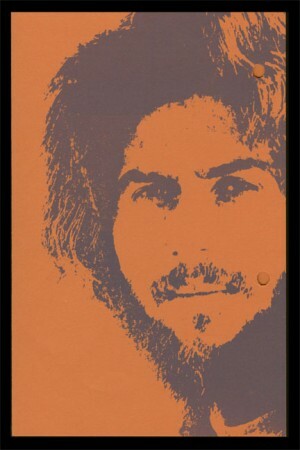 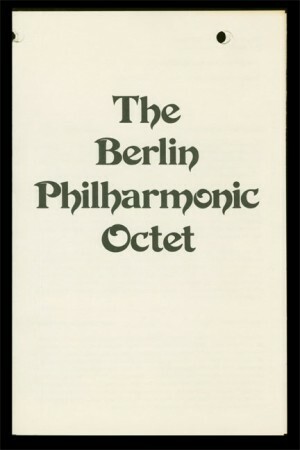 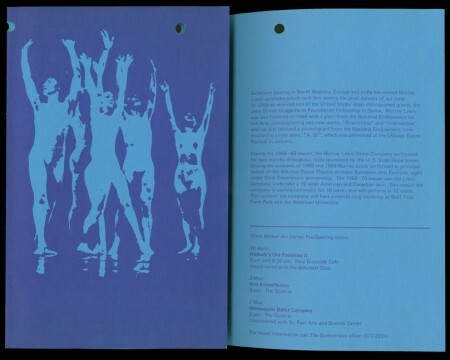 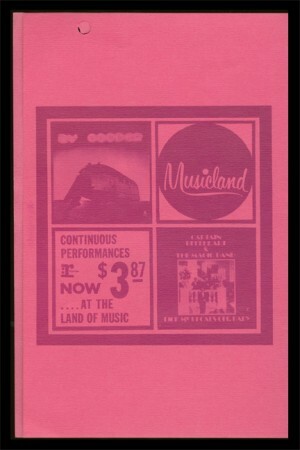 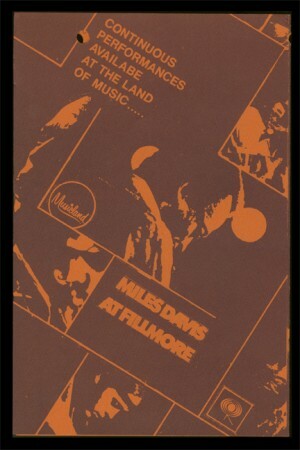 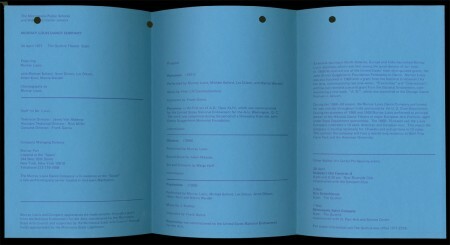 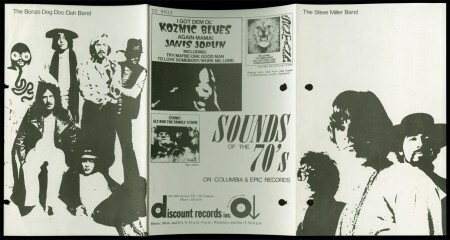 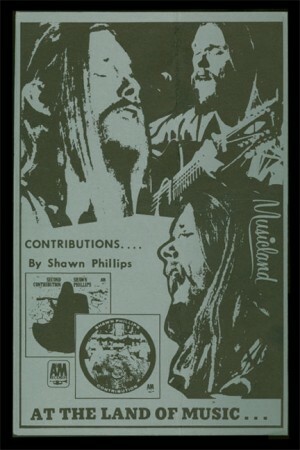 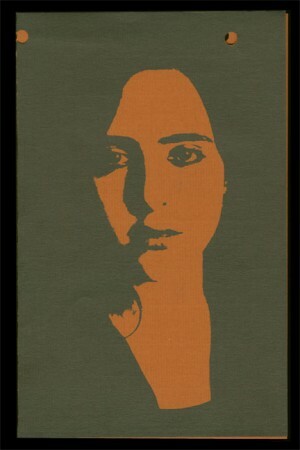 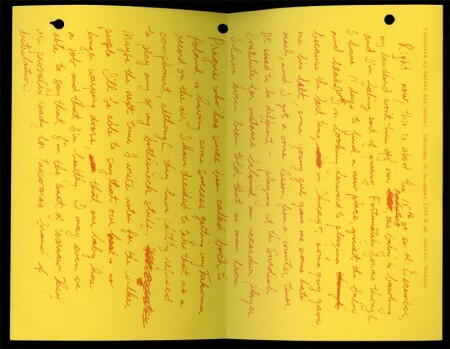 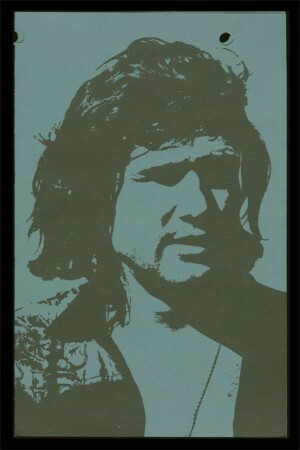 The first pamphlet of 1970 also began the implementation of a colored paper stock with a single color ink. 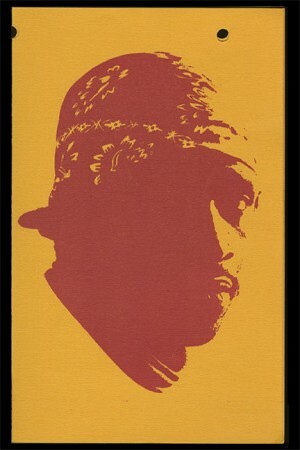 The luscious design does its job perfectly: turning these gods of music into mythologized versions of themselves—a collection of portraits of living legends. 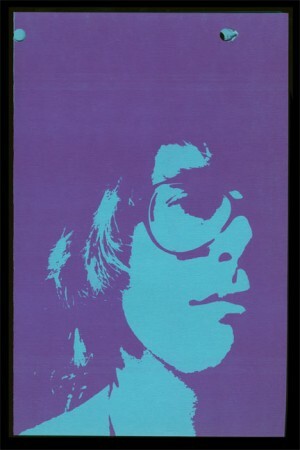 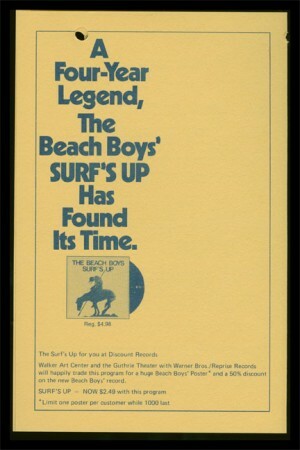 Doug Benidt, a curator here in Performing Arts, informed me that Sue Weil, in partnership with the Guthrie Theater, was responsible for booking these extraordinary shows such as The Who, Captain Beefheart, Silver Apples, Miles Davis, and The Beach Boys. 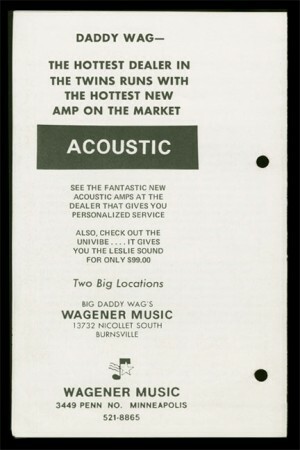 As coordinator of Performing Arts, Weil had a unique relationship with many of the acts she brought to Minneapolis. 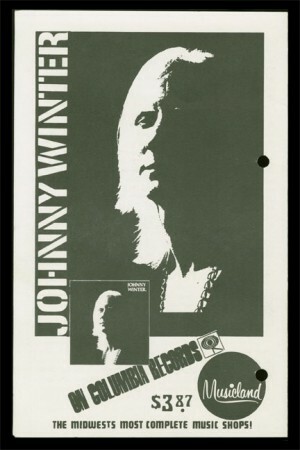 She often invited the performers to stay at her home in Minnetonka, MN. 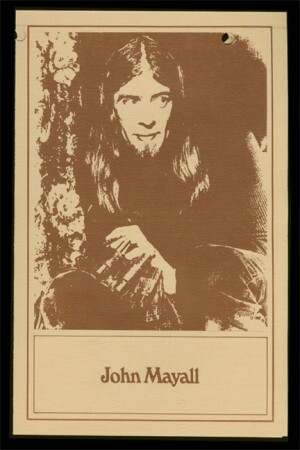 The article also states that Weil “made a habit of attending to the personal needs, as well as professional ones, of visiting artists.” For instance when John Cage, a mushroom fancier, came to town she would make sure to have fresh mushrooms on hand. 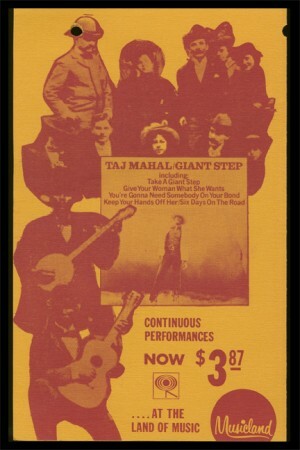 In a separate article in the Minneapolis Tribune from June, 1969 it mentions that when Pete Seeger came to town, she picked him up from the airport, drove him to his hotel and went home to bake him bread. 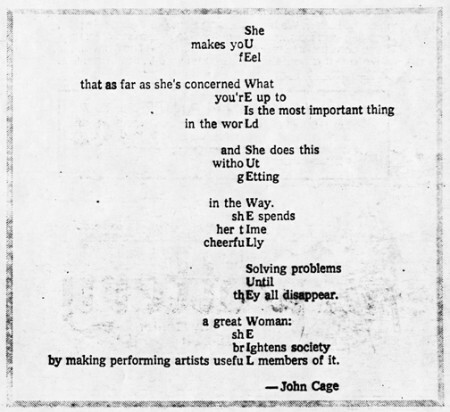 When the Star asked Cage to contribute his thoughts on Weil, he obliged by submitting a poem which uses Weil’s name as its crux. 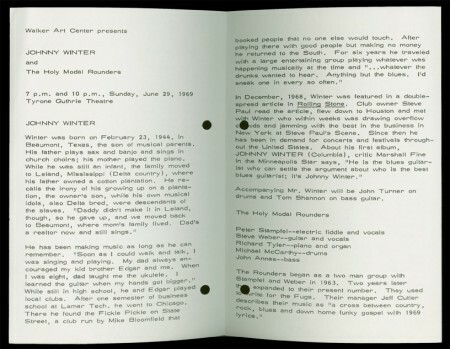 Also, if you are wondering why the majority of the fliers have holes punched through them, it’s because years ago someone had archived them by putting them in 3-ring binders. 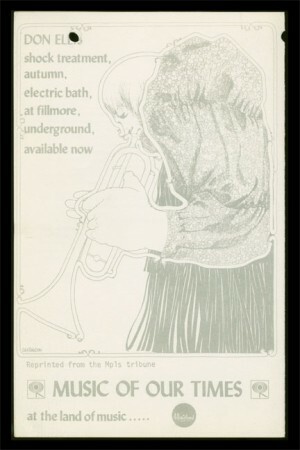 That was before our stellar archivist, Jill, took over. 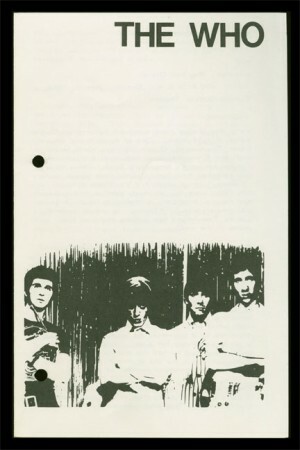 Thanks Jill for letting us hold on to these for so long.